How Can I Find Out if My Driver's License is Suspended? Is your driver's license currently suspended? It's not a question many of us ever ask ourselves and that's because we assume that if our license was suspended we'd know it. It's possible, however, that if your license was suspended, you might not realize it. 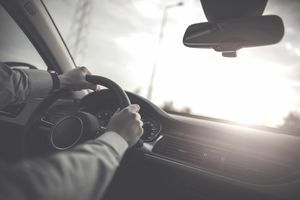 There are lots of reasons that your license might be suspended and, in some cases, no reason that anyone would let you know. This can be a real problem, especially if you find out about your suspended license after being stopped by the police or getting into an accident. So, let's take a quick look at the circumstances for which your license might be suspended, why you might not know about it, and how you can find out if it is. Failure to comply with a child support order. Whether some of these reasons might apply to you or not depends on the state where you live. The diligent driver that you are, you're probably thinking that none of the situations above will ever happen to you. There are a few instances however where an unintended mistake results in your license status being affected. For example, what if you send in your insurance premium check and it's not processed in time? Or how about forgetting to inform the DMV when you move and getting an automated intersection monitor ticket sent to your old address resulting in an unpaid fine? It could happen. Fortunately, finding out if your license is suspended is not that difficult. Here are three common ways to check. Look in your mailbox. In most jurisdictions and in most cases, you will receive notification of your suspension by mail, sent to the address they have on record (so make sure they have your current one.) Be careful not to throw it out as junk mail. Go to the DMV and get a copy of your driving record. You might want to call the DMV or check out their website first. Some states will let you order your record over the phone or online. Call your auto insurance carrier. They're obviously going to know if your policy has lapsed and they will likely know if your license has been suspended for that or another reason. The National Highway Traffic Safety Administration operates the National Driver Register (NDR), a computerized database of drivers whose licenses have been suspended or revoked, or who have been convicted of a serious traffic violation such as a DUI. Information in the NDR is provided by state motor vehicle agencies who in turn use the database to check on individuals who apply for a license in their jurisdictions. The information in the database is protected by federal privacy laws that restrict access to your state's DMV and a number of federal agencies. You can request this information for yourself by sending a notarized letter, known as a "privacy act request" to the NDR. The service is free of charge. Could You Be Facing Jail Time for a DUI in Iowa?